Have you ever wanted to see a Norman castle, a Roman road, an Iron Age hillfort or a Bronze Age burial site? Or perhaps you would like to know about the woollen industry in our area or see an old railway station? Now is your opportunity to discover the rich history of our community while at the same time enjoying healthy exercise. 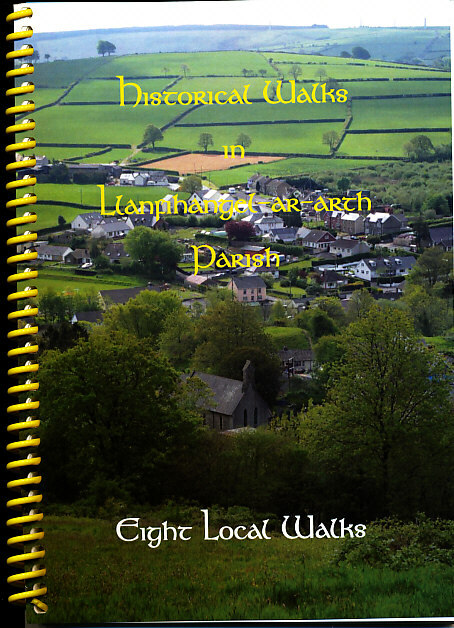 The Llanfihangel-ar-arth and Parish Local history club is pleased to announce that it has produced a bilingual booklet of eight historical walks. The journeys are of varying distances and will take from one to three and a half hours, though the longest can be done by car. The walks begin in Alltwalis, Gwyddgrug, Llanfihangel and Pencader and will be of interest to visitors and local residents. The booklet gives a detailed description of each walk together with outline maps. Copies are free of charge and can be obtained from Club members. Please ring Calvin Griffiths 384812, or Gerald Coles 384987. 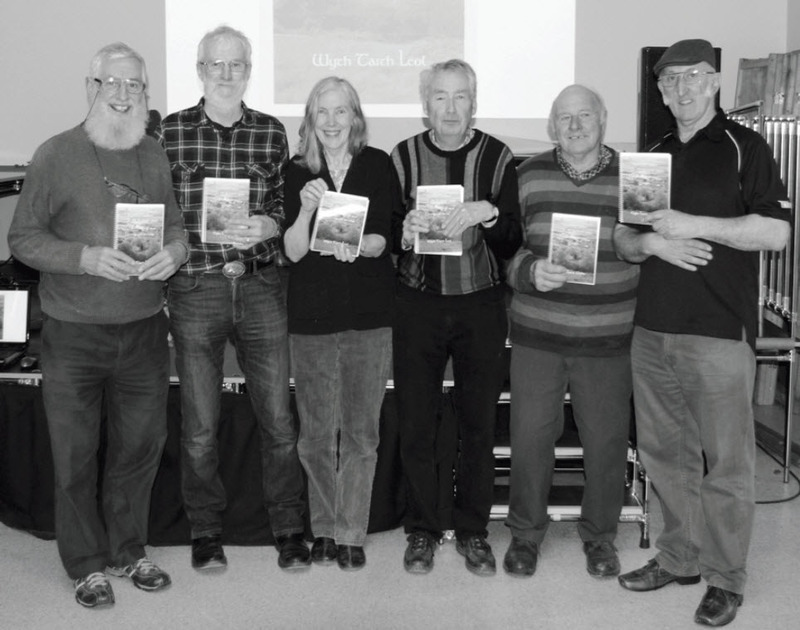 The booklet was officially launched on May 7th and the photo shows Club members with their copies. We are grateful to the Statkraft Alltwalis Wind Farm Community Benefit Trust for a grant towards the costs of printing.